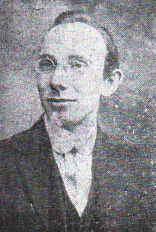 William Noel Smith was born in Basingstoke, Hampshire in 1892 to William Smith & Emma Elizabeth (nee Tew) the only son of six children. The family moved to Thame, firstly to Chinnor Road, and then to Elmdene, Essex Road and he attended Lord Williams’s Grammar School. 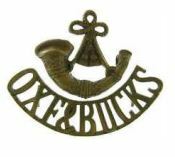 Upon leaving school he joined his father in the family printers and stationery business in Upper High Street, also enlisting in 1912 with the 4th Battalion (Territorial Force) of the Oxf and Bucks Light Infantry. Upon outbreak of the war the battalion was mobilised and set up camp in Writtle, Essex before embarking for France in March 1915 with the 145th (South Midland) Brigade. 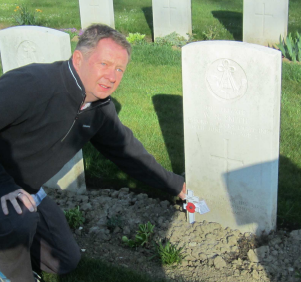 On the afternoon of 13th June 1916, whilst in a carrying party taking tea to his comrades in trenches at Hebuterne, north of Albert, a shell burst close by, and William was killed, aged 24. He was buried nearby in what is now Hebuterne Military Cemetery, France. His mother, who upon the death of his father in 1914 had moved back to Hampshire, was awarded his accrued pay and war gratuity of £9 15s. In Thame Private William Noel Smith is remembered on the town war memorial, and also the memorial boards for St Mary’s, All Saints, and Lord Williams’s School. His name also appears on Basingstoke war memorial.